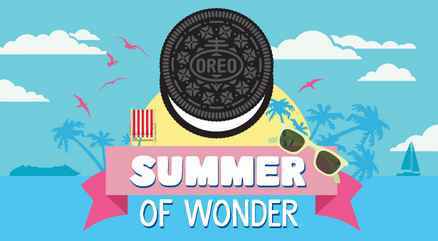 Enter the Oreo Summer of Wonder Sweepstakes right now for your chance to win $1,000 American Express PrePaid Gift Card from Mondelēz Global( 4 Lucky Winners). Login to your account (Twitter Or Instagram). Once you log into your account now post or Tweet a photo that displays you enjoying an OREO treat (e.g. a beverage or ice cream dessert made with OREO), from a participating restaurant that serves an OREO treat. While Posting your photo on Instagram or Twitter then don’t forget to use the hashtag #OREOFreddysSweepstakes and tag @OREO and @freddysusa. Prizes: Four (4) Grand Prizes (one (1) per Freddys Prize Pool, one (1) per Cook Out Prize Pool, one (1) per Menchie’s Prize Pool and one (1) per Krystal Prize Pool):$1,000 American Express PrePaid Gift Card. ARV: $1,000. When To Enter: The Oreo Summer Sweepstakes entry begins at 12:00 am ET on July 1, 2018 and ends 11:59pm ET on July 31, 2018. Who’s Sponsor: Mondelēz Global, LLC, 100 Deforest Ave., East Hanover, NJ 07936-2813.